With Russia rendered impotent in the autumn of 1915, Germany fulfilled her threat to punish little Serbia for the two defeats inflicted on Austria. The task was assigned to General Mackensen, the victor in the battle of the Dunajec, who, with a force of 300,000 Austrians and Germans, was to co-operate with a Bulgarian Army of 300,000, now secretly preparing for war. Opposing this army of 600,000, the Serbians at most could put 300,000 soldiers into the field. Their hopes lay in the promised support of an Allied Army, 150,000 strong, under the command of General Sarrail, which was assembling at Salonika. Treachery of Bulgaria and Greece King Ferdinand of Bulgaria, a German carpet-bag prince, who had gained the throne a few years before, was secretly pledged to assist the Teutonic Allies. The sympathies of the Bulgarian people, however, were wholly with Russia and against the Teutonic Allies. The sympathies of the Greek nation also were with the Allies. Indeed, Greece was bound by treaty to assist Serbia if she was attacked by Bulgaria. But the influence of King Constantine's wife, a sister of Emperor William of Germany, had been exerted against Russia and Serbia. 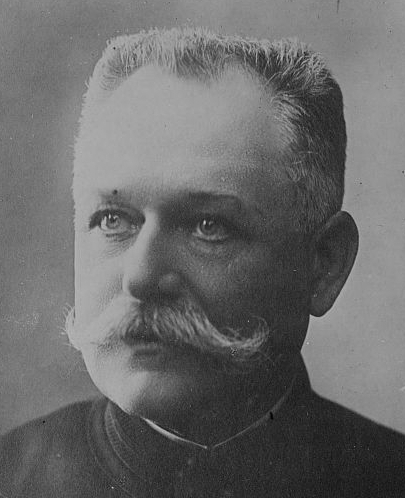 Foreseeing the treachery of Bulgaria, Premier Venizelos of Greece had requested the Allies to send an army of 150,000 troops to Salonika in aid of Serbia if attacked. France and England consenting, the mobilization of an army was begun on September 24, 1915. King Constantine's German wife then persuaded the King to compel Premier Venizelos' resignation and appoint a cat's-paw, M. Zaimis, in his place. This was done. Zaimis' first act was to renounce the treaty with Serbia and declare for a policy of "armed neutrality." The Greek Chamber of Deputies at once passed a vote of confidence in the Venizelos Government, but this did not deter either the King or Premier Zaimis from carrying out their nefarious plot. Together, they conspired to prevent the Allied troops landing at Salonika and even encouraged the Turks to make war upon their former Balkan Allies. Their treachery culminated in a proposal to intern the whole Allied Army, but Lord Kitchener warned King Constantine that his dethronement would follow such an act and Constantine very wisely desisted. 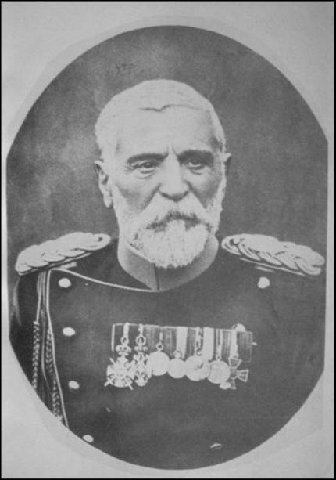 The Greek King contented himself with throwing every possible obstacle in the way of the Allies and in giving the unspeakable Turks a free hand in attacking Serbia. 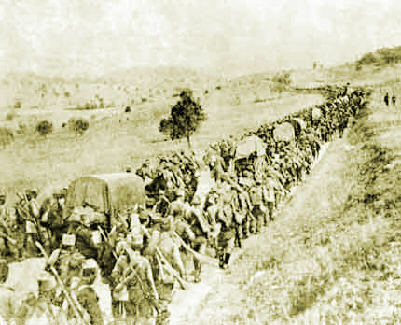 While Bulgaria was falsely assuring the Allies that she had no intention of entering the War, Serbia knew that the Bulgarians had mobilized an army of 300,000, prepared at a moment's notice to attack Serbia in the rear. The strategic position of Serbia was one of extreme danger. The main line of railroad from upper Serbia to Salonika, upon which the nation depended for food and military supplies and the transportation of its armies, passes within a few miles of the Western Bulgarian border. If this line were cut, the Serbian Army would be trapped between the Austro-German armies on the north and west, and the Bulgarian Army on the east Her communications with the Allied Army at Salonika would be destroyed and her natural path of retreat closed. 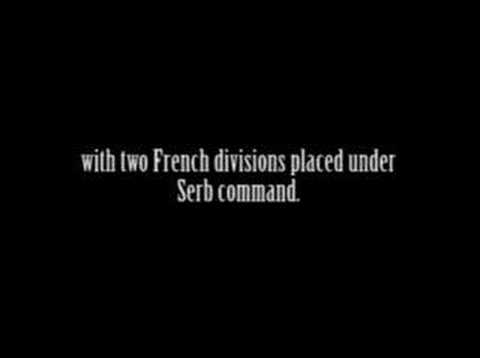 While General Mackensen was personally organizing his offensive against Serbia, his name still appeared in the German official dispatches as being actually engaged on the Russian front. Thus did Germany hoodwink the Allied military strategists as to her intentions, even as Bulgaria was deceiving their credulous diplomats. On October 3, 1915, Russia awoke to the truth and served an ultimatum on Bulgaria, giving King Ferdinand 24 hours in which to break with Germany, but Ferdinand did not comply with this demand. 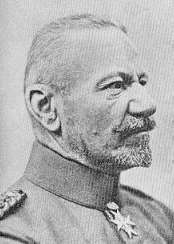 General Mackensen's Austro-German Army, composed of 300,000 veterans, was rapidly concentrating in two divisions. 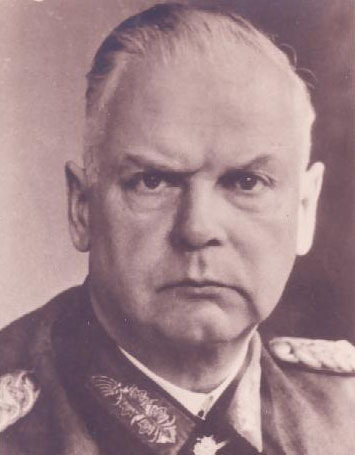 The left wing, under General von Gallwitz, occupied a front along the Danube from the Roumanian border to Semendria. The right wing, commanded by General Koevess, extended past Belgrade, along the Save River nearly as far as the Drina. The rest of the frontier, along the Drina River, was occupied by a smaller Austrian Army. Mackensen had upward of 2,000 cannon to aid him in smashing1 the Serbian line. The Serbians could only muster a force of 200,000 men against the Austro-German Army on the Northern and Western frontiers. This army, in four divisions, was commanded by Generals Mishitch, Zirkovitch, Jourishitch and Goykovitch. To protect their Eastern frontier, they relied upon an army of 100,000 in command of General Stepanovitch to oppose the Bulgarian force of 300,000. The battle began on September 19, 1915, when 2,000 huge guns fired their shells across the Danube River at the Serbian defences, the bombardment of Belgrade being especially intense. Under cover of this fire, the Austrians attempted to cross the Danube and Save Rivers at several points, but without success. At Semendria, an entire Austrian battalion was annihilated. With the firing of the first shell on the Northern front, the Bulgarian Army was advanced to the frontier, prepared to take part in the battle, although up to the last minute King Ferdinand had given England assurance that he would not assault Serbia. A steady hail of shells fell daily upon the forts of Belgrade and the entire Serbian line. The big naval guns in the capital, supplied by the Allies and served by expert gunners under command of Rear Admiral Troubridge, in reply, swept the Austro-German lines. Two enemy gunboats were sunk. Failing to reduce the Belgrade forts, the Germans on October 5, 1915, hurled vast quantities of inflammable bombs into the city itself, with the intent to set it on fire. At the same time they kept up a constant barrage fire beyond the city limits to prevent the escape of the populace. On the following day, after heavy losses, the Germans forced a crossing of the Danube at four points. The river defences were then blown to dust by the fire of the German howitzers. On October 8th, Hungarian troops took the northern citadel by storm, while the German troops seized the heights on the west side of Belgrade. Soon the naval guns in Belgrade were silenced under an avalanche of shells, while the city was reduced to a mass of charred ruins. General Zikovitch, meanwhile, had withdrawn the greater part of the garrison to the fortified positions south of the capital and the Germans occupied the ruins of Belgrade, taking 600 wounded prisoners and a number of guns. The Serbian Government, meanwhile, had been established at Nish. The Teutonic troops poured across the Danube and Save Rivers, taking many small villages and forts along the river fronts, but being unable to advance far into the interior. At Zabre, on the Save River, October 10, 1915, the Austrians deluged the Serbian trenches with asphyxiating bombs, and then charged in solid formation. The Serbians, protected by gas masks, met the charge with bayonets, driving the Austrians back in panic. On the Drina River, too, near Badovintse, Austrian charges were repulsed with great slaughter. Outnumbered and outgunned, the Serbians finally gave way before the Teutonic armies, and by October 11, 1915, Mackensen's forces had occupied the banks of the Danube and Save Rivers for a distance of 100 miles, from Grodishte to Shabatz. Along the Drina River, too, the Germans had gained a foothold and now Mackensen began a closing-in movement from three directions on the Serbian Army. In the East, the main objective was the railroad running through the Morava Valley. Here it was first necessary to reduce the forts at Semendria and Pojarevatz. After a two-week siege, Semendria fell, on October 11, 1915, with the garrison retiring to Pojarevatz. Two days of furious fighting followed, the Germans capturing the fort at a heavy cost in dead and wounded.